Publisher's Note: Products purchased from Third Party sellers are not guaranteed by the publisher for quality, authenticity, or access to any online entitlements included with the product. Security Smarts for the Self-Guided IT ProfessionalProtect wireless networks against all real-world hacks by learning how hackers operate. Wireless Network Security: A Beginner's Guide discusses the many attack vectors that target wireless networks and clients--and explains how to identify and prevent them. Actual cases of attacks against WEP, WPA, and wireless clients and their defenses are included. 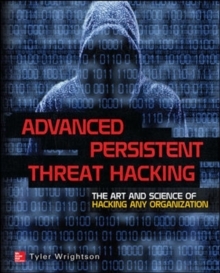 This practical resource reveals how intruders exploit vulnerabilities and gain access to wireless networks. You'll learn how to securely deploy WPA2 wireless networks, including WPA2-Enterprise using digital certificates forauthentication. The book provides techniques for dealing with wireless guest access and rogue access points. Next-generation wireless networking technologies, such as lightweight access points and cloud-based wirelesssolutions, are also discussed. Templates, checklists, and examples give you the hands-on help you need to get started right away. Wireless Network Security: A Beginner's Guidefeatures:Lingo--Common security terms defined so that you'rein the know on the jobIMHO--Frank and relevant opinions based on theauthor's years of industry experienceIn Actual Practice--Exceptions to the rules of securityexplained in real-world contextsYour Plan--Customizable checklists you can use onthe job nowInto Action--Tips on how, why, and when to applynew skills and techniques at workThis is an excellent introduction to wireless security and their security implications. The technologies and tools are clearly presented with copious illustrations and the level of presentation will accommodate the wireless security neophyte while not boring a mid-level expert to tears. 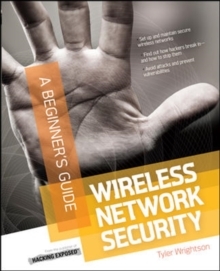 If the reader invests the time and resources in building a lab to follow along with the text, s/he will develop a solid, basic understanding of what "wireless security" is and how it can be implemented in practice.